The thought of having the foundation of your Houston home repaired can make the strongest of persons feel overwhelmed. This is why many people will tend to ignore the signs of a failing foundation until it becomes necessary to level the house. Leveling a house can be intimidating and somewhat expensive. 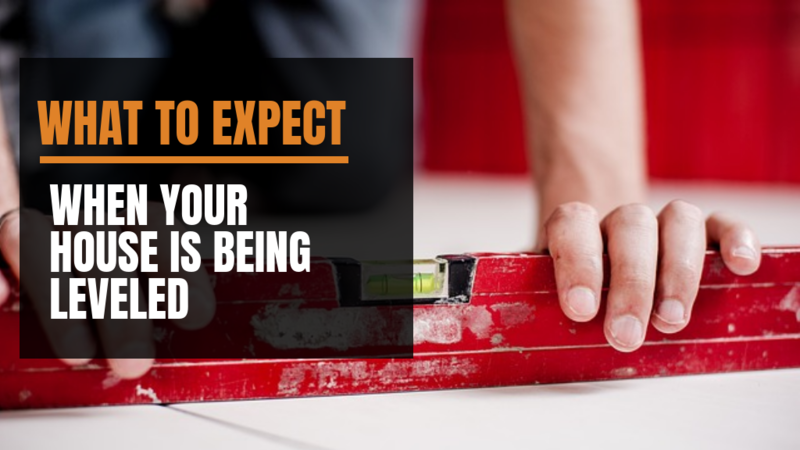 The process can be made much easier with a little education on what to expect when your house is being leveled.Much of the anxiety that comes with foundation issues is because we are unaware of what is involved with the repair process. We will discuss what it means to level a home and how the process works with different types of foundations. At this point in the discussion you are probably asking yourself what in the world it means to level a home. House leveling is a process that involves the repair of your home's foundation in order to level your home. This will restore your home to its original state while allowing you to address any other foundation issues that may or may not be apparent. The longer you wait to do the repairs needed to the foundation of your home, the more aggressive the fix will be. Ignoring the signs of a bad foundation will result in spending more time and money to level your home and restore it to its original state. There are several methods that can be used to level a home. The type of foundation a home has will determine which method will best address the problem. The other factor that will help determine which leveling method needs to be used is the type of underlying foundation problems that exist. A foundation repair expert will be able to advise you on which process will be best for your home after doing a thorough inspection. The single most important decision you will make in this process is finding a reliable expert to level your home. They will walk you through the leveling process both before and during the repair. Homes that need leveling with a slab foundation have their problems generally caused by the soil underneath the house. Soil that starts out solid beneath a home can change due to environmental factors. Climates where there is extreme dryness or extreme moisture at different times of the year will cause the soil to expand and contract. This can cause the soil underneath the home to shift and crack. This unstable soil will allow the foundation to shift as well. The engineer you choose will come in and level the house by placing a variety of piers beneath the foundation to stabilize the home. The home will be jacked up and placed back on the piers in order to accomplish the leveling process. Pier and beam foundations will fail for many reasons. Water damage and termites are just two of the causes of a pier and beam foundation going bad. Unlike a home with a slab, these houses already have piers beneath them. The house will be leveled by using steel l-beams to stabilize any damaged beams already there. The engineer will level the joist and girders beneath the home. They will then install new piers and beams with stronger materials. This will strengthen the existing materials and level the house for many years to come. Homes that have a crawl space beneath them are easier to level than the foundations previously discussed. There is much more space to work in when a crawl space is beneath the home. The home will not necessarily need to be jacked up in order to do the repairs. The easiest method is to use a chemical mixture to stabilize the soil that is under the home. Using braces and rods is effective in shoring up sagging floors and damaged supports. Another method is to fortify existing piers by installing pilings beneath them. The need to add or replace beams and piers will depend on the extent of damage that is there. 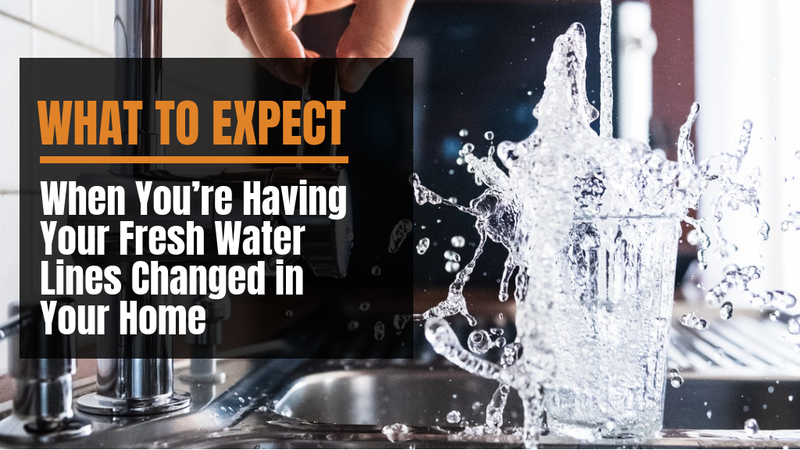 The first step in doing any home repair is to educate yourself. Talk to friends that have had similar work done on their home. Read what the experts have to say on leveling your home. Check with the better business bureau to avoid getting taken advantage of by unethical business owners. You can save yourself many headaches and a lot of money by choosing the right foundation repair expert to level your home. Once you are able to find an expert Houston foundation repair engineer, the process becomes easier and much less stressful to you, the homeowner. Do not ignore the signs you are seeing. 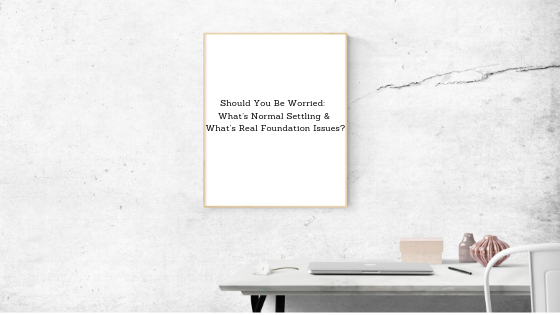 Educate yourself and fix your foundation before the home needs major repairs and foundation leveling.